Eaton Senior Communities Foundation - Support Eaton Senior Communities Foundation! Make a difference in the lives of Eaton's senior residents by supporting our service-rich communities! After her retirement, Sue began to feel isolated in her home. She decided to take action and found The Residences at Eaton Senior Communities in 2015. Sue says, "I feel like I am living now, where before I was just surviving." The best part of her new life at Eaton is friendships. She assists another resident every day and has found a greater purpose by giving back. Sue has benefited from Senior Reach's group meetings at Eaton and is learning to deal with chronic physical and emotional pain. Coloring Group, Exercise Classes, Educational Talks, Massage Therapy, Church Services and Puzzles are integral to her new social life. 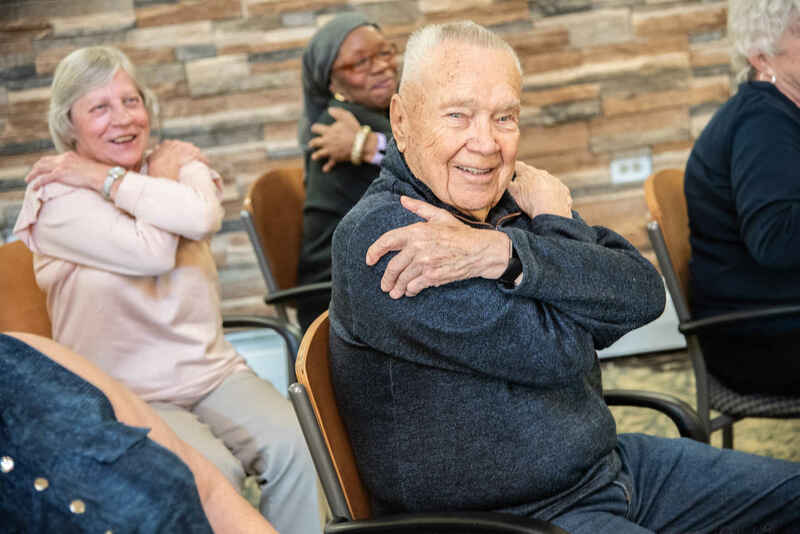 Your donations help Eaton Senior Communities continue to offer the broad array of supportive services that enrich residents' lives. My Mom has lived @ Eaton for 8 years and it has been a great living environment for her with several extra services that you can choose to pay for. My mother lived here. A wonderful place! I'm donating in honor of Sarah and her dedication to the Wellness program and support of Massage Therapy on Saturdays! I LOVE this place!! And wish I could give lots more!!!! I Thank you for what you do Kate! Your residents are lucky to have you! This gift recognizes the ministry of West Alameda Baptist Church & its role as developer, sponsor & supporter of the Eaton Senior Communities. I live here and am so happy that I am here. This is the first time that I have been able to donate since I have lived here and it feels really good.